Ms. Adrales is a nationally recognized and highly respected director who’s made a reputation for directing new works. April 20, 2017- [Milwaukee] – Milwaukee Repertory Theater is proud to name Associate Artist May Adrales as a new Associate Artistic Director for the 2017/18 Season beginning this Fall. Ms. Adrales, a nationally recognized and highly respected director who’s made a reputation for directing new works, was last seen at The Rep directing Yellowman, after all the terrible things I do, and The Mountaintop and will direct The Who & The What and Animal Farm this upcoming season. By adding a second and new Associate Artistic Director to the company, a role that is envisioned to be occupied by a new mid-career artist every one-to-two-years, Milwaukee Repertory Theater aims to build the pipeline of exceptionally talented directors ready to take on institutional leadership roles by building their experience in producing, budgeting, board governance and fundraising. In exchange, the new skills added to the company, which will vary by individual, will offer reciprocal value. 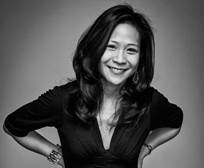 May Adrales is a freelance theater director based in New York City. May has helmed several world premieres including Qui Nguyen’s Vietgone (Manhattan Theatre Club, South Coast Rep, Oregon Shakespeare Festival and Seattle Rep); JC Lee’s Luce (LCT3); Katori Hall’s Whaddabloodclot!!! (Williamstown Theatre Festival); the musical In This House at Two River Theater Company; A. Rey Pamatmat’s Edith Can Shoot Things and Hit Them (Actors Theatre of Louisville); after all the terrible things I do (Milwaukee Rep); Thomas Bradshaw’s Mary (The Goodman Theatre); Tommy Smith’s The Wife (Access Theater); and The Bereaved (Partial Comfort Productions). She directed the award-winning revival of David Henry Hwang’s The Dance and the Railroad at Signature Theatre and Wuzhen International Theatre Festival in China, Chinglish at Portland Center Stage/Syracuse Stage, Breath and Imagination at Cleveland Playhouse, and Katori Hall’s The Mountaintop and Dael Orlandersmith’s Yellowman at Milwaukee Rep. From 2008-10, she served as the Director of On Site Programs at the Lark Play Development Center, developing programs to support and nurture over 200 playwrights. She served as an Artistic Associate at The Public Theater (2006-2008), spearheading the Shakespeare Lab, a professional conservatory and overseeing community engagement programs in the outer boroughs. Adrales was a recipient of the Stage Directors and Choreographers Foundation’s Denham Fellowship and a TCG New Generations grant. She is the 2011 recipient of the Paul Green Emerging Theatre Artist Award. She has been awarded directing fellowships at New York Theatre Workshop, Women’s Project, SoHo Rep, and The Drama League. She is a proud Artistic Associate at Milwaukee Rep. She served as a faculty member for The Public Theater’s Shakespeare Lab (2006-2009), the Einhorn School of Performing Arts at Primary Stages (2012-present), and has directed and taught at Juilliard, ART, ACT, Fordham, NYU, and Bard College. She is currently on faculty at Brown University/Trinity Rep and Yale School of Drama where she is a graduate. Milwaukee Rep’s 2017/18 Season is filled with timeless classics, award-winning contemporary works and full-scale musicals spanning 13 productions in four theaters. Book ended by two giants of the American Theater, the Tony Award-winning musical Guys and Dolls and Wisconsin-native Thornton Wilder’s Our Town, the season will also features two world premieres, One House Over by Catherine Trieschmann in the Quadracci Powerhouse and Mark Twain’s River of Song by Randal Myler and Dan Wheetman in the Stackner Cabaret. The Stiemke Studio will feature The Who & The What, the third in a series by Associate Artist and Pulitzer Prize-winning playwright Ayad Akhtar, as well as a ripped form the headlines play Until the Flood, written and performed by Dael Orlandersmith. 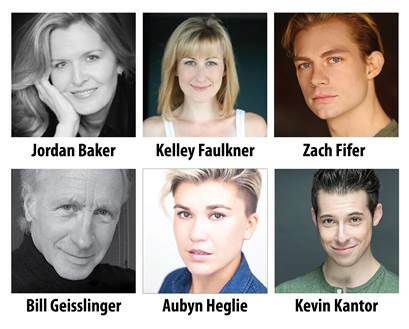 For a full list of the 2017/18 Season visit www.MilwaukeeRep.com. 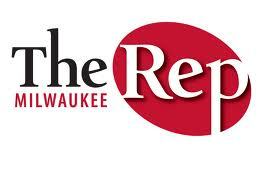 Milwaukee Rep is a nationally-recognized company that presents compelling dramas, powerful classics, award-winning contemporary works and full-scale musicals housed in its three unique performance venues – the Quadracci Powerhouse, Stiemke Studio and Stackner Cabaret. The Rep also produces an annual production of A Christmas Carol, which featured a World Premiere adaptation in 2016, at the historic Pabst Theater. Under the leadership of Artistic Director Mark Clements and Managing Director Chad Bauman, Milwaukee Repertory Theater ignites positive change in the cultural, social, and economic vitality of its community by creating world-class theater experiences that entertain, provoke, and inspire meaningful dialogue among an audience representative of Milwaukee’s rich diversity.